Individuals and foundations in Connecticut gave $5 billion in charitable contributions during 2015* according to the Connecticut Giving Report, an annual publication of the Connecticut Council for Philanthropy (CCP). As in past years, the Connecticut Giving Report documents charitable giving by individuals, bequests, and foundations as well as philanthropic trends and insights. New this year is a geographic breakout of foundation giving, a look at foundation giving by population, as well as information about how much support for the state's nonprofits flows from out-of-state foundations. This year’s report showcases juxtaposed realities: that giving reached a new high in 2015, with residents and organizations providing $5 billion in grants and donations; and that the numbers of charitable givers in the state has been on a slow decline and will likely drop further as a result of the new tax law. Individuals and foundations in Connecticut gave $5 billion to charitable organizations in 2015. In 2015, $3.81 billion of giving was provided by Connecticut individuals. 74% of Connecticut households donated to charity, in 2015. In 2015, foundations in Connecticut provided $1.2 billion in grants to support programs and organizations in the state, around the country, and even internationally. Out-of-state foundations contributed $419 million in grant dollars to Connecticut nonprofits. Despite an increase in individual giving from 2014 to 2015, the numbers of Connecticut residents supporting charitable groups has declined 10% since 2005. 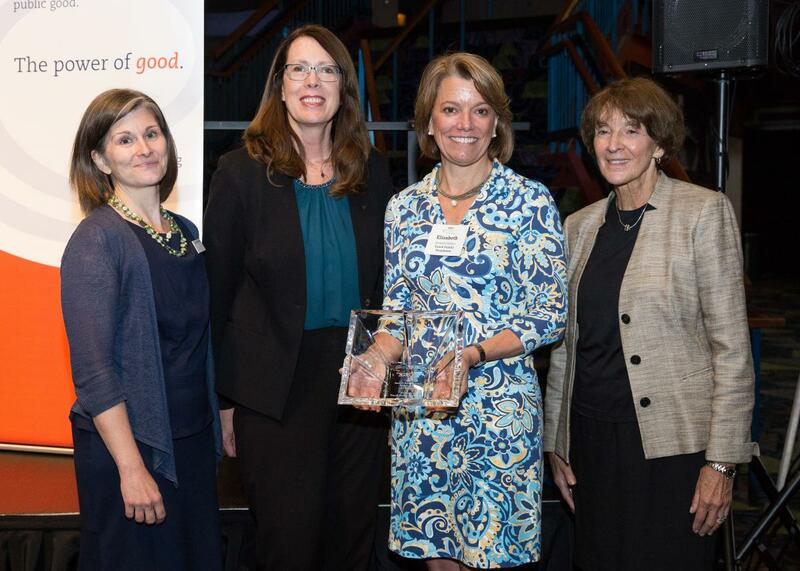 The Tauck Family Foundation was honored with the Nancy P. Roberts Award for Innovation in Philanthropy at the CCP's Conference on May 16, 2018. The foundation is a private, multi-generational family foundation that invests in organizations and initiatives that equip the children of Bridgeport, Connecticut with the necessary social and emotional skills to thrive academically and in life. The foundation was selected for its innovation, impact, and the collaborative nature of its work. Nearly 300 philanthropists and nonprofit leaders attended "Disruptive Leadership - Inspiring Strategies for Social Change," CCP's 2018 conference held at the Toyota Presents Oakdale Theatre on May 16. This year's event brought the sector together to explore the catalyzing role of philanthropy, to inspire emboldened leadership and collaboration in Connecticut’s philanthropic community, and to offer pragmatic pathways that philanthropies can take to lend deeper support toward the challenges they are working to resolve. 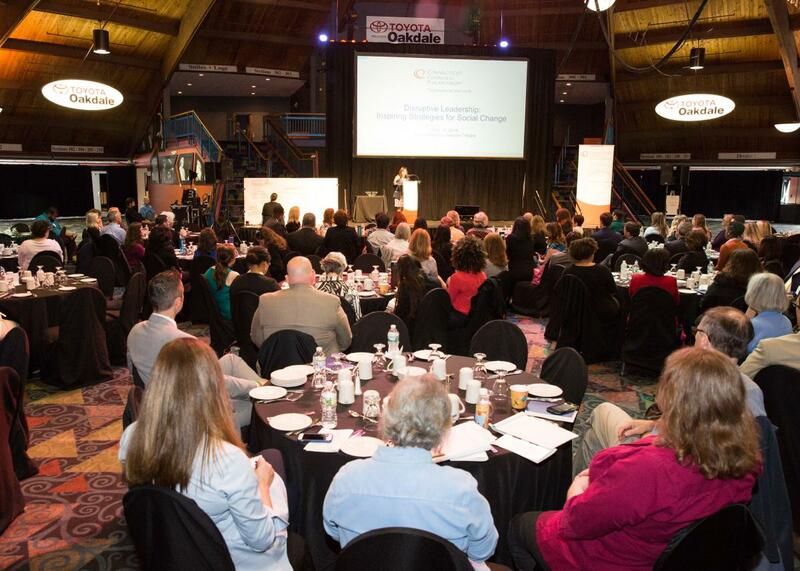 The conference featured two keynotes, breakout sessions, networking, the presentation of the Nancy P. Roberts Innovation in Philanthropy Award, an update by CCP president Karla Fortunato, and acknowledgement of the CCP leadership by new Board Chair Kathy Luria. The Hartford Foundation for Public Giving has awarded the Connecticut Data Collaborative (CT data) a three-year grant to improve nonprofit organization's data literacy through an array of workshops, courses, training, focus groups, and evaluations in a multi-pronged, three-year plan. As part of the plan, CT Data will examine the specific needs of nonprofit organizations and their current data capacity, particularly in the Greater Hartford region, as they seek to make better use of available data. Its CT Data Academy convenes data forums and conferences, workshops, and programs. “Our goal is to reach more nonprofits, make them more comfortable using data, and increase the use of data throughout their work – in evaluating programs, assessing need, informing the public and policy makers, and becoming even more effective in the work they do and the services they provide. We appreciate the support of the Hartford Foundation, for electing to underwrite this effort to strengthen the nonprofit community,” said Michelle Riordan-Nold, Executive Director of the Connecticut Data Collaborative. Planning a BPM#2018 activity or event? CCP will help amplify your effort on social media; contact Laurie Allen, Director of Communications, 860-525-5585. "On Wednesday, June 13, the House Appropriations Committee took up a bill with the harmful anti-Johnson Amendment rider. Section 112 of the Financial Services and General Government FY2019 spending bill would effectively block enforcement of the Johnson Amendment against “churches” and their auxiliaries – even when they engage in egregious, partisan activities. This is the same extraneous rider that was attached to the Financial Services bill last year, and that was one of the very last items negotiated out of the Omnibus Spending bill enacted in March. In late May, the Vice President reiterated the Administration’s intent to repeal the Johnson Amendment; they aren’t giving up, so we can’t either." CCP's national colleague, the United Philanthropy Forum, is working to garner support for the Universal Charitable Giving Act sponsored by Rep. Mark Walker (R-NC) in the House (HR 3988) and Sen. James Lankford (R-OK) in the Senate (S 2123). The legislation would extend a charitable deduction to non-itemizers that would be capped at one-third of the standard deduction ($4,000 for single filers and $8,000 for married couples filing jointly). While they have not fully endorsed the bill because of the proposed cap, they do believe signaling support of the effort is important to set precedent for future versions of this and other bills to expand charitable giving. On May 11, Reps. Chris Smith (R-NJ) and Henry Cuellar (D-TX) introduced the Charitable Giving Tax Deduction Act (HR 5771), which would extend the charitable deduction to all taxpayers without limitations. As of now, there is no Senate companion bill. Rep. Smith authored an op-ed in the Washington Examiner in support of the legislation. Read The Chronicle of Philanthropy article about the bill. “The Treasury Department and the IRS intend to propose regulations addressing the federal income tax treatment of transfers to funds controlled by state and local governments (or other state-specified transferees) that the transferor can treat in whole or in part as satisfying state and local tax obligations." Treasury continues to request additional comments regarding DAF regulations from nonprofits as well as philanthropy. Although the original comment period has passed, they will accept comments through June. One issue in particular where the sector is not speaking with a single voice is on bifurcation of payment for events. It is clear this could be very damaging to nonprofits and their ability to attract donors to their events to engage and learn about their work. Please encourage your members and their grantees to communicate their support for maintaining the ability for donors to pay for nonprofit events using their DAFs. On June 8, the Commerce Department (which oversees the Census Bureau) invited the public to comment on the paperwork associated with the 2020 census. The public has until August 7 to submit comments. This is one of the few opportunities for philanthropy to make its case that the citizenship question should be removed from the census questionnaire. Regardless of whether public comments will move the administration to reverse its decision, this establishes an important record for the public, Congress, and the courts to consider. Accordingly, the Funders Census Initiative has developed a sign-on letter for grantmakers only that calls on the Commerce Department to drop the citizenship question. To sign-on, your organization will need to provide: signer’s name, title, organization name, city, and state. The Initiative is collecting signatures until July 16. Add your information here: https://goo.gl/forms/VU9VkrVnWBMYwJcz2. As a reminder, this is not a lobbying activity and is permissible for private foundations. Over the last few years, we have seen several cultural moments, such as #MeToo and the response to police violence, take place that have raised social justice struggles to the national platform. These unique cultural moments have opened up new and earnest conversations about the type of country we want to become and addressed issues that have been mostly ignored. Join the Funders Committee for Civic Participation's discussion to explore how grassroots leaders have taken these moments, or helped create these moments to build long-term power in their communities, and hear how funders have been supporting this work. Foundations on the Hill (FOTH) brings together foundation leaders from across the country for meetings with Congress about key issues of importance to foundations and philanthropy. FOTH is presented by United Philanthropy Forum, in partnership with the Alliance for Charitable Reform and Council on Foundations. Plan now to join CCP's Connecticut delegation to meet with our law makers in Washington, DC. The PolicyWorks Institute, held in conjunction with FOTH, is the one opportunity each year for regional and national philanthropy-serving organizations to take a “deep dive” together to strengthen their policy and advocacy work in philanthropy. - A revenue cap that also forces the legislature to save more funds. Lawmakers can appropriate only 99.5 percent of all estimated revenues, starting in 2020. The other one-half of 1 percent must be saved. This target gradually increases annually until 2 percent must be saved starting in 2026 and continuing at that level thereafter.
" Whatever your opinion on the recommendations set forth in the recently released report from the Commission on Fiscal Stability and Economic Growth, the alternative being the status quo, is demonstrably worse." OPED signed by Jay Williams, President, Hartford Foundation for Public Giving; Juanita T. James, President & CEO, Fairfield County’s Community Foundation; William W. Ginsberg, President & CEO, The Community Foundation for Greater New Haven; and Maryam Elahi, President & CEO, Community Foundation of Eastern Connecticut. This wrap up includes links to Foundation President Jay Williams' testimony for the Commission on Fiscal Stability and Economic Growth. Wealth Disparity in Connecticut, is a series supported by a collaboration among: Fairfield County's Community Foundation, Hartford Foundation for Public Giving, The Community Foundation for Greater New Haven, The Community Foundation of Eastern Connecticut, Connecticut Community Foundation, and Main Street Community Foundation. 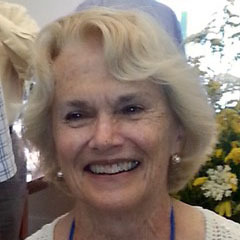 Charitable organizations are exempt from local property tax in Connecticut by CGS Section 12-81; Subsection (7) exempts the property owned by “a corporation organized exclusively for… charitable purposes.” Despite this statute and relevant case law, municipalities in Connecticut have been increasingly denying nonprofit property tax exemptions. A survey by The Alliance reports that property tax exemptions for nonprofits are being denied or challenged in 44 municipalities. 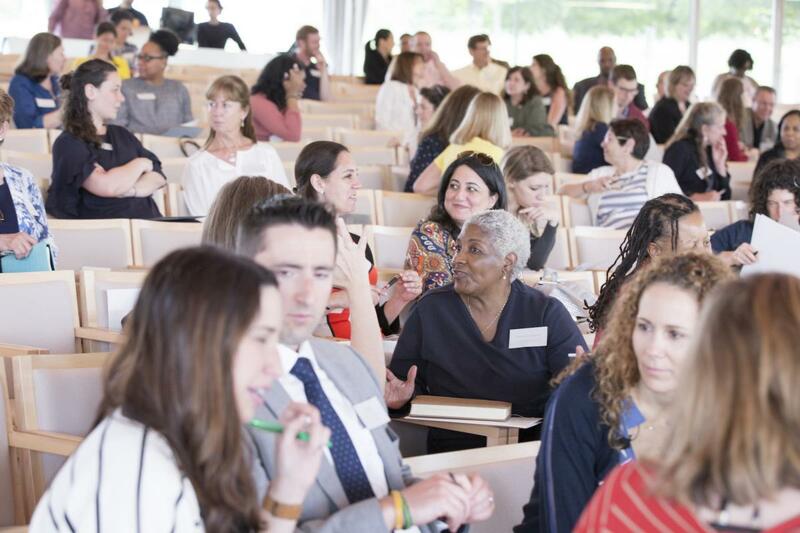 Fairfield County’s Community Foundation’s Center for Nonprofit Excellence hosted over 130 members of Connecticut’s nonprofit community today during an interactive and collaborative Advocacy Day 2018 at Grace Farms in New Canaan. As part of its ongoing Advocacy Series, Fairfield County’s Community Foundation offered this seminar in partnership with Grace Farms Foundation. Designed to strengthen advocacy skills and best practices among nonprofits, the seminar featured experts, a panel discussion, and workshops. This is a meeting will feature speaker Kei Kawashima-Ginsberg, Director of CIRCLE (Center For Information & Research On Civic Learning And Engagement) at Tufts University. Kei will provide national and regional context about the state of civic engagement, and help us think about civic and political development among marginalized populations: what are the barriers, possible solutions, and how can we transform the dialogue about the engagement of young people. The Rockfall Foundation in partnership with the CUNY Graduate School of Journalism, is presenting a workshop for journalists and student journalists. Participants will hear from national and state experts on resilience and will travel along the Connecticut coast to explore several communities that are working to address resilience challenges. Join the Funders’ Collaborative on Youth Organizing for a special funder strategy session focused on young people of color in this moment of powerful opportunity. Young people are taking account of the lessons learned from the national moment around gun control and turning momentum into meaningful power at the 2018 elections and beyond. As the leading edge of the new American majority, there is potential that this generation will engage in ways that transform the nation for years to come. FCYO invites interested youth-focused funders and donors to a special peer learning and strategy space to develop a shared response. Fairfield County's Community Foundation is hosting a series of specially-themed webinars to spark discussions and launch the community into the years to come. 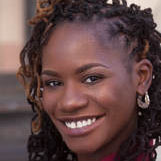 The July webinar highlights a powerful approach to solving persistent youth unemployment around the world, and features Tia Hodges of the Citi Foundation's Pathways to Progress Initiative. They'll also share more about the ways in which FCCF is working with partners to build strong communities across Fairfield County. The Branford Community Foundation is holding a community-wide party to celebrate the community, make new friends, raise awareness and funds, and much more. Hometown Harmonies attendees will enjoy: musical performances from local student productions, a big headliner who hails from the shoreline, success stories about BCF grant recipients and donors, recognition for community heroine, Eunice Lasala. Connecticut Council for Philanthropy (CCP) is an association of grantmakers committed to promoting and supporting effective philanthropy for the public good. CCP's members are foundations, business and corporate giving programs, bank trusts, donor-advised funds, and individual philanthropists. CCP members grant more than $858 million from assets of more than $7.6 billion. The Connecticut Philanthropy Digest (Digest) is brought to you by the Connecticut Council for Philanthropy. Edited by Laurie Allen, Director of Communications. The Digest is a summary of recent activities by Connecticut foundations and grantmakers, and is compiled and distributed monthly to media outlets, local legislators, and grantmakers to raise the profile of philanthropy throughout Connecticut. 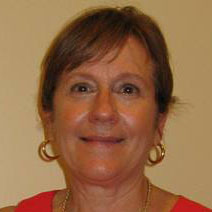 News about Connecticut funders may be submitted to CCP for consideration. 2018 Publication Dates: June 21; August 2; September 13; October 25; November 29. Submission Deadlines: Close of business one week before the publication date.